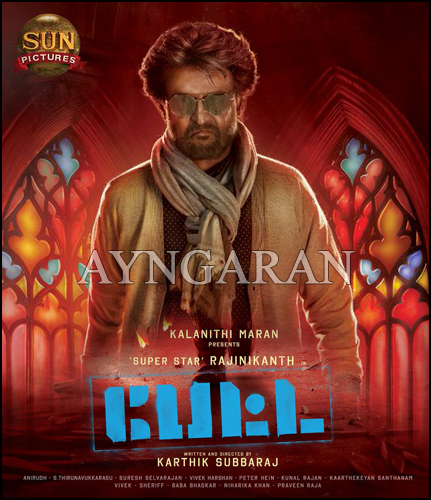 Superstar Rajinikanth’s next titled as ‘Petta’, directed by Karthik Subbaraj. The first look & motion poster revealed yesterday. Rajinikanth is believed to be playing the role of a school warden and actress Simran is paired opposite him. Other actors like Nawazuddin Siddiqui, Vijay Sethupathy, Trisha Krishnan are also in the cast. Petta marks the Tamil debut of Nawazuddin Siddiqui. His role in the film was confirmed a couple of months ago. Filming of Petta has so far been largely done in Darjeeling and Dehradun. The team is expected to wrap up the shooting by the end of this year. Vijay Sethupathi apparently plays the antagonist. Petta's ensemble cast also includes Bobby Simha, Munishkanth, Sanath Reddy and Megha Akash. The film is expected to release next year.